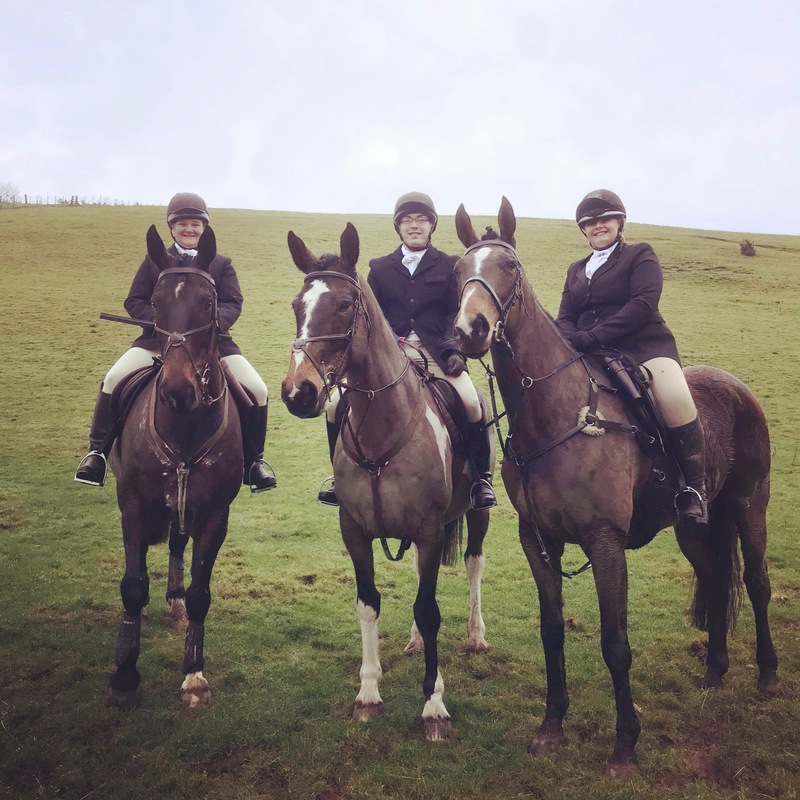 We predominately 'do' dressage - I'm one of those horrific matchy matchy bling folk, but we stripped that off for the day and dressed up in our finest plain get up. 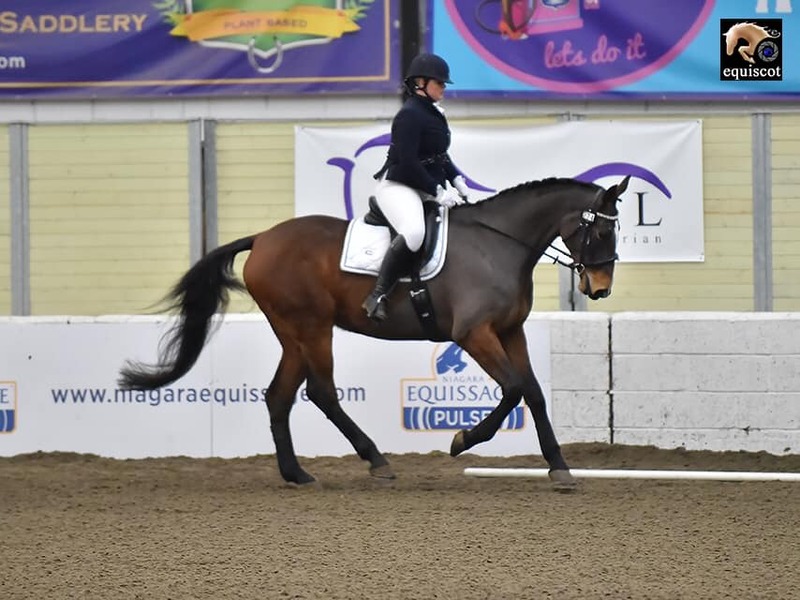 She’s a mare that can be a bit backwards thinking and I thought it may either make or break her... apart from being a bit excited and not really wanting to stand at the start she was super- she behaved much better than I thought she would and she loved it. When we set off she gave me a brilliant ride, and the brakes worked!! Really lovely, safe galloper. 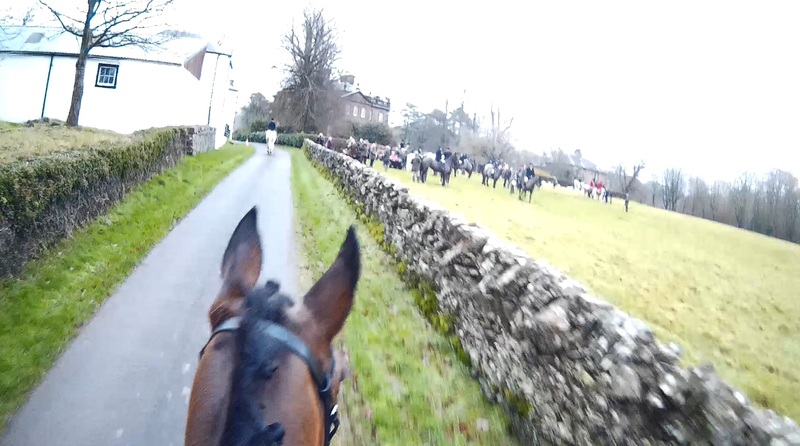 Even managed to gallop down hill! 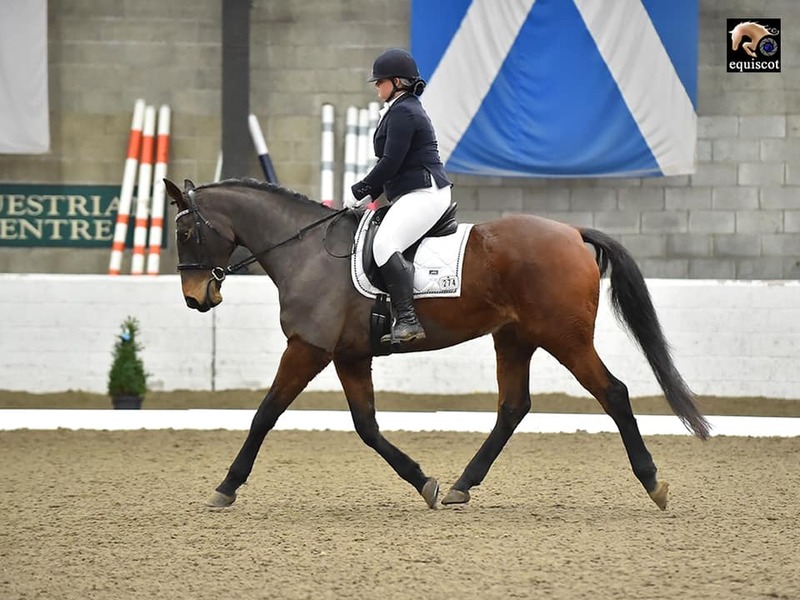 We bowed out just before 2pm as we had a hack back to the box and she really had been very good and was starting to get a bit bored of standing, so thought it best to end safe, in one piece and on a high. She arrived back at friends yard still full of running and feeling like she could go again. 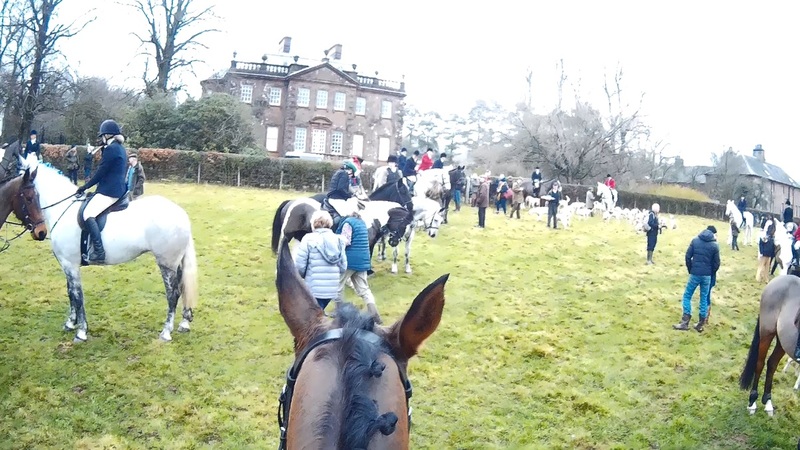 Dumfries were a lovely, welcoming hunt. There were plenty words of encouragement uttered my way. 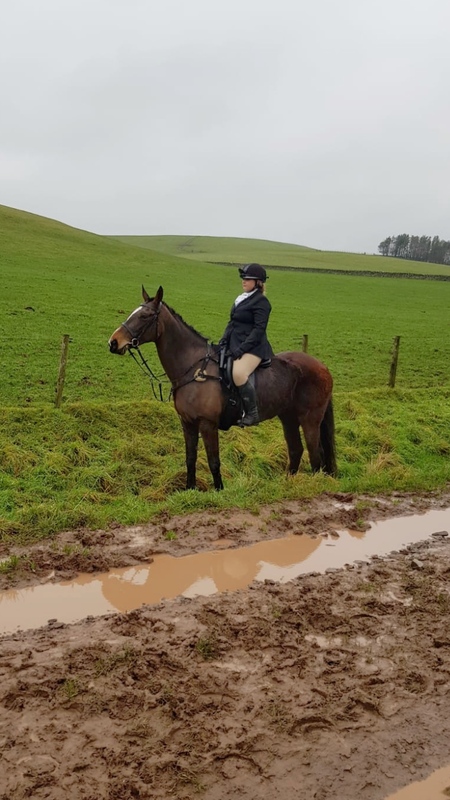 It's been a childhood dream of mine to hunt my own horse and not a hireling... but if you'd asked me a year ago if I thought I'd hunt this mare I'd have laughed you off due to various confidence knocks and the fact she is a bit of a handful. I am very proud that my nerve held enough to get me out there! 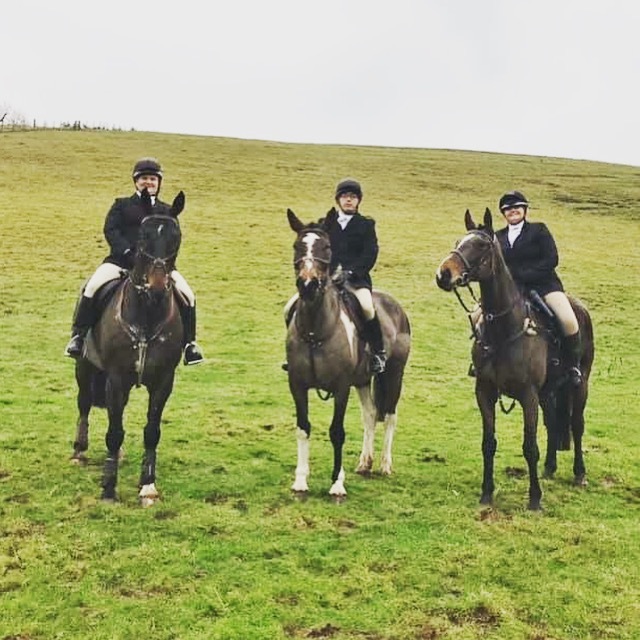 Hoping that this coupled with common riding will get me confident enough across country again to eventually help me fulfil my last tick on the dream list - eventing. She’s had a tough year with really bad ulcers, and I’m not 100% sure she’s totally fine, but it was nice to see her having fun yesterday! Glad you had a lovely day, I am very envious! 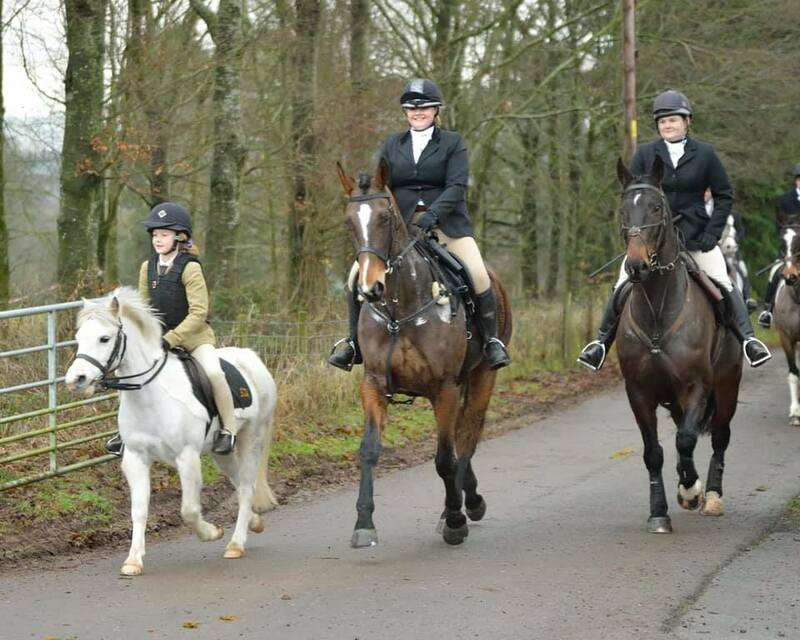 I'm hoping to make it out next season, not sure I'd trust my boy at the Boxing Day meet though haha! Wonderful pics and she looks a lovely sort. Thanks! I made sure I had someone on the ground gathering evidence that it happened. Glad you both enjoyed your day. She's a lovely mare. 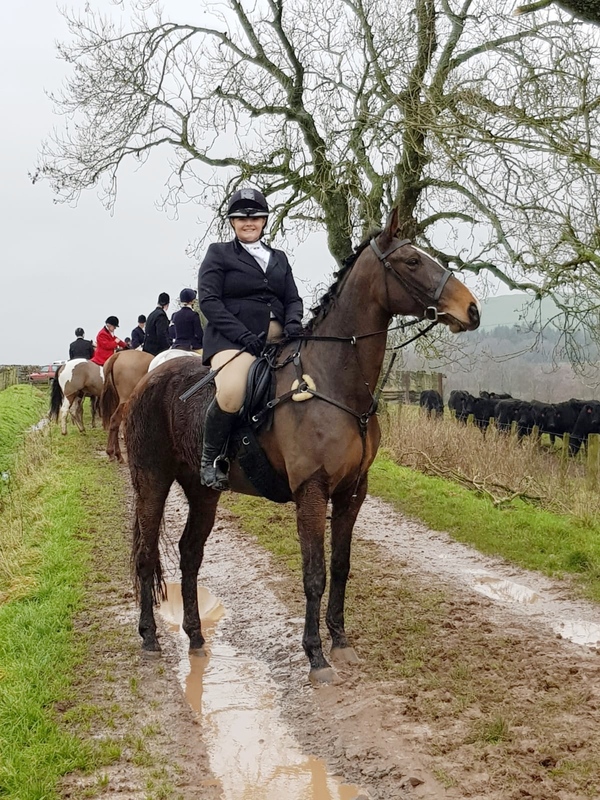 Goodness me you are very brave making your first hunt the busiest of the year! Glad you had a lovely time and very impressed that she was well-behaved. Fantastic! 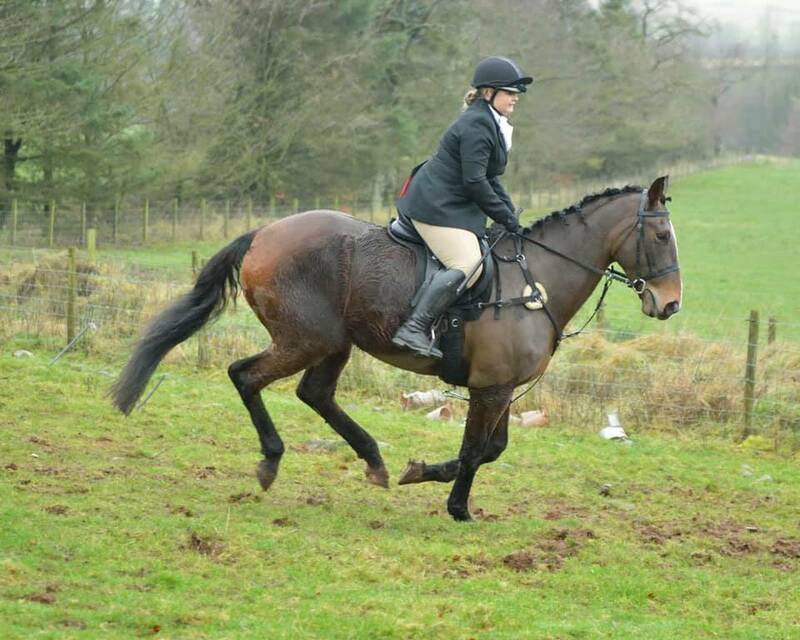 Lovely photos of a gorgeous mare, enjoy your new hunting career. I have always felt nothing beats it for a backwards thinking horse. 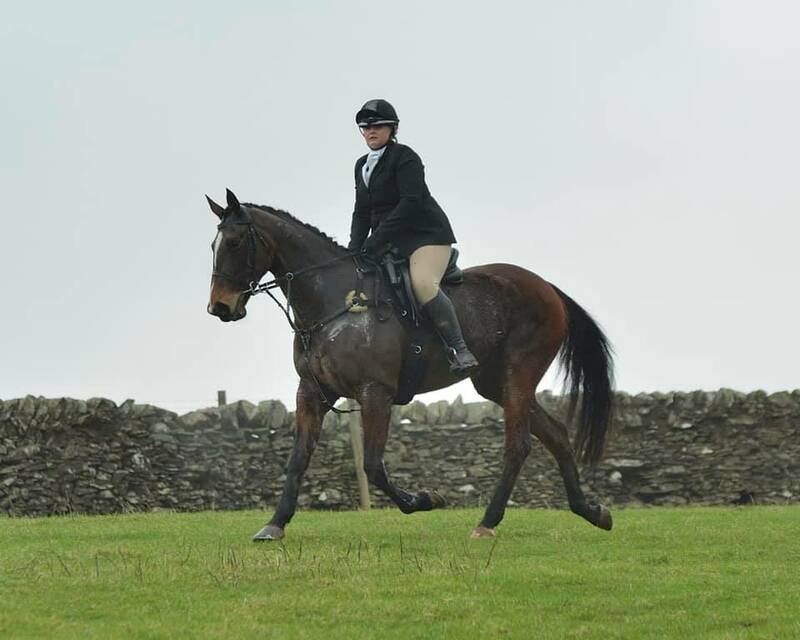 We had some reversing moments that were eventually dealt with and she was standing fair after the first few fields. She got ants in her pants if she sensed we were on the move but she was never dangerous, just a bit annoying but we can work on that. Don’t think she’ll ever be the sort of horse you’d be able to lend to anyone to take out, she’ll never do gates or leave the meet alone... but if I can ride her round a couple of days a year and enjoy it I’ll be happy. If I could get her out in the summer for a couple of common rides that would be fab too! Lovely horse, glad you enjoyed your day. Ah glad she’s doing well now. Sounds like she did good. Typical south west Scottish mud LOL! you both look like you really enjoyed it. She really looks the part of a hunter.